The true Salernitano horse originated from the plain lying between the Sele and the Calore (Salerno - Campania). But, as well as this breed, another type was also raised, which came to be known as the “razza governativa di Persano” (the ruling breed of Persano). Established in 1762 by the Bourbon king, Charles III, it was the result of crossing mares of largely eastern origin with Andalusian Arab stallions In 1874 the government sought to suppress the breed and all examples of it were sold at public auction. But in 1900 it was re-established, using mares with a good combination of characteristics and proven to be good for riding. These were selected from various cavalry regiments and mated with two stallions: Jubileé (an English thoroughbred from Melton) and Giacobello (a cross-bred Arab sired by the stallion Siriano). After the closure of the Centre for the Re-introduction of Quadrupeds in 1954, the Persano breed was reduced to about fifty brood-mares. These were transferred to the centre for quadrupeds in Grosseto, which is under the jurisdiction of the Ministry of Defence. 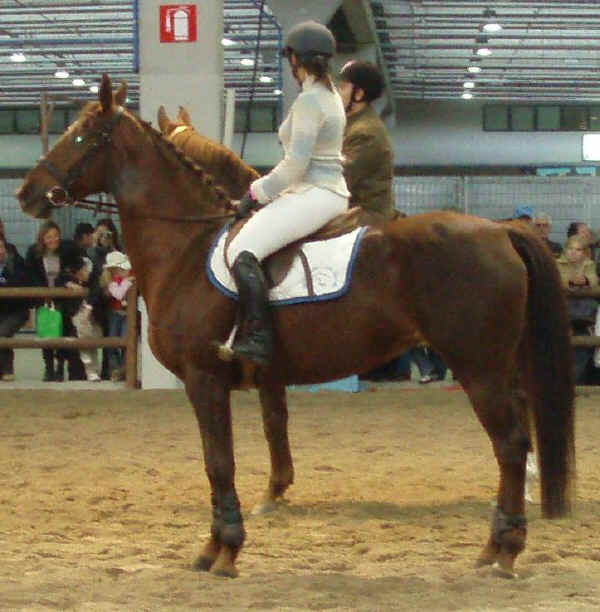 The Persano is an all-rounder, good for riding, dressage and other disciplines. It is rugged and elegant and can be used for leisure riding as well as equestrian sport. The horse has a gentle, indominitable temperament.